Another intriguing and uplifting novel from the author of Close to His Heart, Leonora Pruner has a gift for storytelling and creating compelling characters. Set in 18th century England, our heroine Anne is betrothed to a man she’s never met and must leave behind her girlhood fantasies. When she arrives at the home of Lord Wolverton, Master of the Wolf’s Aerie, the mysteries and challenges of her new life cause her to seek Biblical wisdom and guidance concerning honor, integrity, and faithfulness. In this story of the discovery of true love, there is also danger, betrayal, and sword fighting—and it all takes place in a castle complete with secret passageways. Become lost in another time and place. You will not want to put this book down. Note From the Publisher: Please be advised that this is a story reflecting the human condition and contains mature content that may not be appropriate for young readers. Please consider that many stories throughout the scriptures contain mature content which help us to understand God’s redemptive nature and loving kindness. This book is recommended primarily for mature adults. Congratulations to Leonora Pruner for her fourth period romance novel (mid-18 -century England). 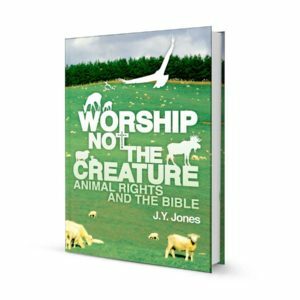 When our mutual friend, Roger Nelson, who is famous for his one-man acts depicting heroes of the faith John Wesley and Saint Patrick, recommended Leonora and her books to us, we were reluctant to deviate from our path of publishing theological books. But now we are pleased and proud to add to our Noble Novels the publication of our second period Christian romance fiction. We congratulate the author on another intriguing story. From the beginning, God created man and woman for each other. Genesis 2:24 states that man shall leave his father and his mother, and shall cleave to his wife, and they shall be one flesh. Our Creator perfectly made husband and wife to love one another romantically and in all self-sacrificing ways, this within the joys of God’s first ordained institution: marriage! The roots of “modern romance” harken to the mid-eighteenth century (the time of the setting for this novel) in England. * Much of the storytelling of romanticism since that time has sprung from self-centered thinking. In stark contrast, godly imagination in storytelling produces the best of creative thinking and writing. This is true of the great classics of the past and of Close to His Heart and her new book, In the Aerie of the Wolf. 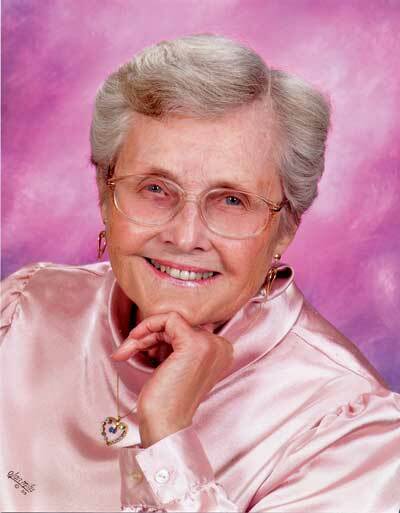 Leonora Pruner’s love story is based on honor, faithfulness, and forgiveness. Novels are read not so much for information as for a vicarious experience. Often fiction displays truths with an added emotional dimension that especially impacts our understanding. Faithful marriages can be used as models for God’s people. Without a doubt, God created people with the emotional capacity to love each other and Him. God’s unconditional love, as reflected in His children, can bring powerful healing into a relationship with the application of forgiveness. Such a vicarious experience through uplifting fiction may encourage readers to seek healing for themselves and their own relationships and marriages. A well-governed, godly imagination for the way things ought to be in Christ is a fundamental means by which we fulfill our calling to love God and our neighbor, the two greatest Com- mandments proclaimed by Jesus. Loving with a pure and undefiled heart is only fully devel- oped through the indwelling of The Holy Spirit upon being sealed as a disciple of Jesus Christ as we embrace our Lord’s grace and are empowered from within by the Spirit of God. When we love our Heavenly Father through His Son, He enables us to express true love to others and, thus, godly romanticism toward our beloved. It is with this in mind that we present Leonora Pruner’s new novel In the Aerie of the Wolf. Having never heard of or read any of Leonora Purner’s other books I was quite taken with the cover and the description of the book so I decided to read it. After reading several chapters, I could not put the book down. As one who enjoys a historical fiction romance novel every so often, I found I liked this one quite a bit – set in a time I don’t normally read about. I liked it! The setting of an 18th Century English countryside intrigued me. We meet Anne as she’s traveling to be wed to a man she’s never met; she’s a bit leery that it may be a joke or even someone’s way to ruin her – but her traveling companions sent with her by her father and a man named, Samson, sent by her betrothed keep her safe and even make her feel someone at peace about her situation. Anne leaves behind the one she loves, the local vicar, as well as family, knowing she may never see them again. She struggles to know that God is really with her and watching over her. She feels forgotten and cloistered, but she resigns herself to being a good wife, like the one described in Proverbs 31. There are many twists in the book, some I saw coming, some I had no idea were around the corner and made for a thrilling ride. The plots also kept the pace and kept the book going. My only other reservation about this book is that once Anne and Lord Wolverton are married, Leonora gives the readers a glimpse into their bedroom that should not be revealed. While her descriptions are not explicit and would appear tame to those who read more risqué books, they made me a bit uncomfortable and I won’t be handing this to my daughter (she probably would have enjoyed it, but I can’t in good conscience let her read about the marriage bed). Out of 5 stars I give it 4 for the descriptions of Anne’s love for her husband. I thoroughly enjoyed the book as I got to see Anne grow in her love for others, even those who are disfigured and deemed unlovable by society as well as the grace and redemption that Christ bestows upon us, His children. In a similar way, Anne’s marriage shows those attributes and give us a glimpse of what Christ feels for His bride when wronged by her, and the restoration He gives when we seek Him for his forgiveness. I am always wanting to expand my horizons as far as books are concerned. When I first started reviewing Christian fiction, I pretty much just stayed with the old reliable romance novels that are pretty common these days. Now, I do still love those books, a lot. But, sometimes I just want to try a new author or to try a book that I am not really sure I will like. I am often surprised when I do this as I was with In the Aerie of the Wolf. I had absolutely no idea what to expect, so I just went into this book with an open mind, ready to be entertained. 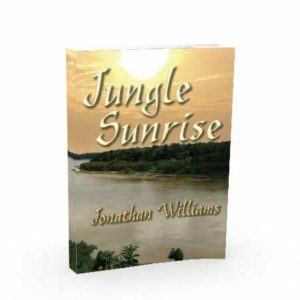 Initially I was irritated by the strong accent that is written into the story. I am very picky about that when I am reading books because I don’t feel that it is necessary and it slows the story down. This wasn’t a huge problem and the quality of the storytelling removed any long term irritation. This book is most definitely a romance novel, but it also has some mystery and some drama with a good, solid Christian message. Overall, I found In the Aerie of the Wolf to be a wonderful story. I am so pleasantly surprised by how much I enjoyed this book. I did have high hopes for this book because it sounded unique and the author is new to me, so to be able to highly recommend it for anyone is a pleasure. I am glad I read it and I wouldn’t want to miss this one! Wow! When I selected this book I had no idea what to expect, the cover of the book put me off a bit, I wasn’t sure if it was going to be medieval fantasy or what. I had never heard of the author, but the blurb about the book caught my eye and I requested it. I am so happy I did!!! Having never heard of the author or the publisher, it was risky, but well worth it. Set in the 18th century, we are introduced to the beautiful younger daughter of a poor nobleman, who really hasn’t much hope to marry her off too well. Imagine his shock and surprise when a servant of a well to do Lord comes offering for her hand. With a very large financial dowry gift to sweeten the pot, Anne Crofton nearly feels like she has been sold off for marriage. Even more dismaying is the fact that her groom insists she be brought to his estate for the wedding, is this a hoax? Finding out her new groom is very elusive worries Anne even more. The sudden death of the vicar of the Aerie is adding more worry to her already wavering thoughts. Finding herself in the midst of a family feud, and in danger also, makes Anne sure she should have never come here. Her only saving grace and hold to reality is her nightly visits in the dark with her groom to be. A charming story of love, redemption, grace and relationship, you will definitely want to make the time to read this book. 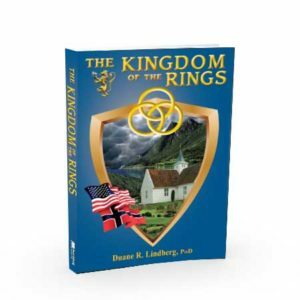 It is unlike any historical novel I have ever read, it kept my interest from beginning to end. In fact I was anxious to return to my reading after attending midweek service, anxious to see where the story would continue on to. A great book! 4 stars. But when I finally decided that it was a Christian Gothic Historical Romantic Fairy-tale, and isn’t that a mouthful? Oh, but well worth the time. By around chapter 4 or 5 I was completely, irrevocably hooked. Anne Crofton finds herself betrothed to a mysterious man that she does not know. So leaving behind her girlhood love she travels to the Aerie of the Wolf. But upon her arrival strange an mysterious things begins to happen, among them the murder of the vicar who was to preform her marriage ceremony to the mysterious Master of the Aerie. And yet she has still not seen the face of her betrothed. To add to her struggles, the love of her youth, Michael Pennywaithe, comes to the Aerie as the new vicar. Anne has a choice to make, what and who will she choose? Can love bloom in the most unlikely of circumstances? This book completely surprised me, and once I stopped trying to nail it down as one or two things I found myself absorbed into the story. The main characters are so deep. And their struggles really hit home. Andrew was my favorite, I mean, he was the perfect hero in that hewasn’t perfect, a great Gothic, Fairy-tale prince. I don’t think anyone could read this book and not totally love him! Another thing I wanted to highlight was the way that the spiritual struggles were ones that, if we’re honest, I think we can all relate to. For instance, how sometimes we do things that are wrong and we know they’re wrong, but we try to justify ourselves, and deny our true sin, instead of humbling ourselves (and it’s hard) and asking for forgiveness. I LOVED this book! I rarely read romance novels. However, I do enjoy a good historical fiction so I gave this one a whirl. I am so pleasantly surprised! 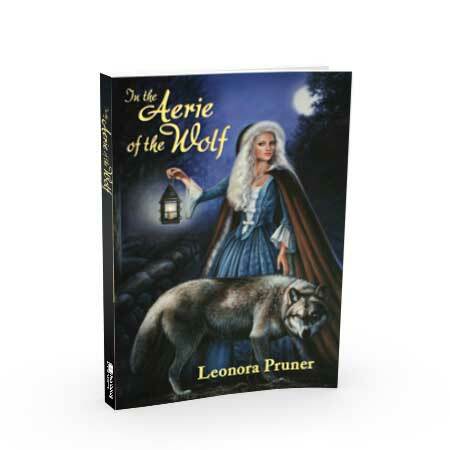 In The Aerie of the Wolf by Christian author Leonora Pruner is the story of Anne Crofton. As the second daughter of lesser noble family in the middle 18th century, Anne has little options for her marital future. 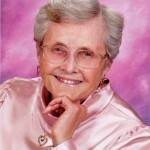 Anne is a kind, gentle woman who believes in choosing to do the right thing even when it seems illogical. However, like most of us, she overrun with emotion and has a hard time determining the best course of action. Anne is to engage in a marriage arranged by her parents to a man she has never met and will not even see until the wedding day. This story provides such an appreciation for women of today. We should be thankful we are no longer objects of leverage for familial status. There are so many things that I would say about this book. However, I don’t want to spoil the many twist or the moments when you can’t help but smile and wish you were in her shoes. One negative: The first few page were hard to read. One of characters has a very strong accent. It takes a while to understand what is being said. But, once you got it down, you are good to go! Enjoy! I wasn’t sure about this book at first. At the first mention of werewolves I was wondering if the was a Christian novel or a Twilight wannabe with monsters and such. Fear not! This is a very entertaining story. Ann Crofton is sold in marriage by her family, who are in financial straits thanks to gambling debts, to a man she has never met. In spite of leaving the man she had hope to marry behind, Anne decides she wants to be an honorable wife to the Lord Wolverton. We see Anne as she struggles with her faith, being a good wife, and dealing with the temptation that comes her way. These are issues that many of us face in our lives today making this story very relevant to contemporary life. And as my husband would say, the story is very “romanceful”. Mrs. Pruner has put together a wonderful story and I look forward to reading her other books. The author created a very interesting story with In the Aerie of the Wolf. She has taken the bare bones of the classic Beauty and the Beast story and adapted it to fit a tale of her own making. It makes for a nice historical fiction read. I enjoyed the character of Anne. She was brave and tried to put others ahead of her. The love her servants had for her showed how she treated others. One of the parts that reinforced this was when she first danced with Samson at the inn. She was torn because she had let herself relax and have fun with a servant in public. Afterwards she pondered on the propriety of it even though she now considered him a friend. ~ On the subject of Samson, his manner of speaking was very annoying. It was hard to follow and I found myself skipping over some of the times when he had a very long narrative. Andrew was also a very complex character. He is very mysterious in the beginning and when we learn how he came to be disfigured, it is heartbreaking. His story gets more interesting as it goes. He also endears himself to his servants by treating them with love and respect. Anne remarks early on about what a happy household lives at the castle. There are numerous threads running through this book. It was one of those that has a touch of just about everything: mystery, romance, paranormal, thriller, fantasy and fairytale. Leonora Pruner uses words well in her storytelling. She was very descriptive without being overly wordy. “Forced by her parents to give up the man she loves. Sold into marriage to a man she’s never met. Anne Crofton is certain God has forsaken her. Why else would He allow her to spend eternity in a dreadful place like the Aerie? Thrust into the middle of a dangerous battle, she attempts to forget the man she loved and embrace her role as Andrew’s wife. Traitors lurk around the corners. Her very life is in the hands of her new husband and the servants of the Aerie. 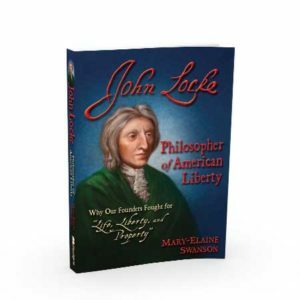 As tensions rise, Anne soon discovers she will need all of God’s strength to help her. What a triumph! In the Aerie of the Wolf is Leonora Pruner’s best book ever. A gripping love story with the page- turning pacing of a Gothic romance and fairy-tale evocations of Beauty and the Beast. A heart-stopping tale set in the wilds of 18th-century Yorkshire with Pruner’s superb period detail and spot-on theology. Leonora has created a wonderful, unexpected story that captures the reader’s imagination from the beginning and holds it until the final page, creating characters for whom you care deeply. Forced into a marriage to swell her family’s coffers and in the midst of mortal danger, Anne struggles to come to terms with her longing for an old love and the draw of her new husband. Turning to the Scriptures for guidance, her heart is torn and she looks to God for support. I would not hesitate to recommend this book to all who enjoy a dramatic and unique love story. Be the first to review “In the Aerie of the Wolf” Click here to cancel reply.